You may be wondering; why does a heating company need the services of a chimney sweep? It all has to do with how a chimney drafts. When furnaces and boilers are installed, drafting is a serious consideration. If drafting is not addressed, it could potentially lead to a very serious situation of carbon monoxide buildup that can make its way back into the basement. When new high efficient heating systems are installed in the older homes in the Cleveland area, the inside dimension of the chimney becomes a critical factor. When these older, larger homes were first built, they had oversized chimneys. Some of the brickwork on the exterior of these chimneys is craftsmanship at its finest. But the inside tiles of the chimney may be oversized for the new equipment. Back in the old day’s boilers and furnaces were built big with no regard for cost of fuel or efficiency. In fact, half of the heat generated by these old behemoths went up the chimney. Nowadays, there is relatively little heat loss up a chimney. This minimal amount of exhaust can get suppressed in the larger chimney space. If that happens, it will reach dew point before it moves entirely out of the chimney. In that situation it will often condense and the resulting acidic residue will become an agent of chimney deterioration. The solution is a flexible chimney liner that is properly sized to meet the exhaust specifications of your new heating system. This will create a draft environment that will allow for a quick and complete ventilation. If your heating contractor isn’t discussing this potential safety issue associated with your project, then you’re not dealing with a true professional. 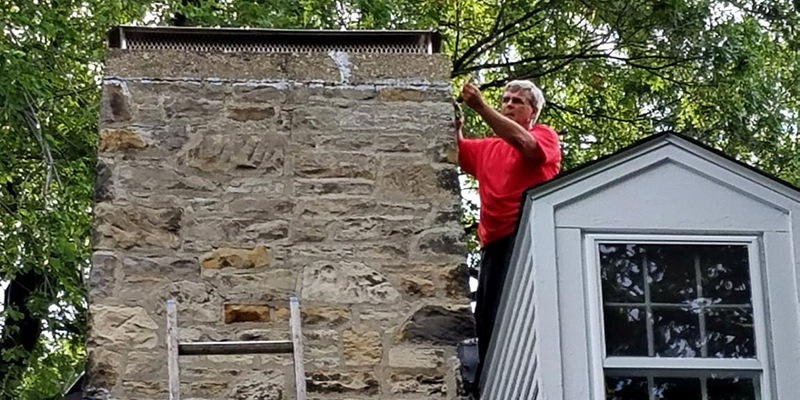 The Hann brothers, Chris and Bill, have over 25 years of experience dealing with chimney concerns. 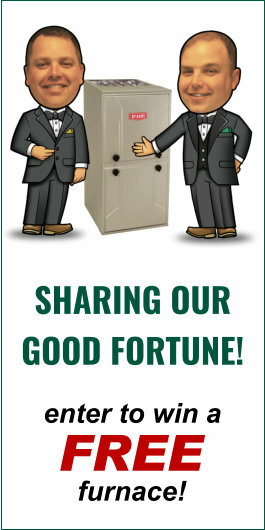 For the best heating sales and service in Northeast Ohio, call Verne & Ellsworth Hann; 216-932-9755. We not only take pride in our own craftsmanship we have our customer’s safety at heart.